The Deputy Governorship candidate of the Peoples Democratic Party-PDP in Imo State and former member of the House of Representatives, Rt. Hon. Gerald Irona has promised that the party will chase criminals out of public offices if voted into power in the forthcoming governorship election in Imo State, reports ITREALMS. Irona stated this while receiving youth of Egbuoma community in Oguta Local Government Area of Imo State under the aegis of Ubokwu Youth Solidarity Forum, who paid him a solidarity visit in his Oguta residence, weekend. He blamed the political class in Egbuoma community for the absence of government presence in the area, promising to right the wrongs. He identified youth empowerment and commercial agriculture as central to their blueprint for development. He however mentioned some of the developmental projects he attracted to Egbuoma community while serving as House of Assembly member, Local Government Chairman and federal lawmaker to include: Electricity, Water, Political appointments, Health Center, among others. He challenged the community to mention any public office holder from the community that has done as much as he did for the community. 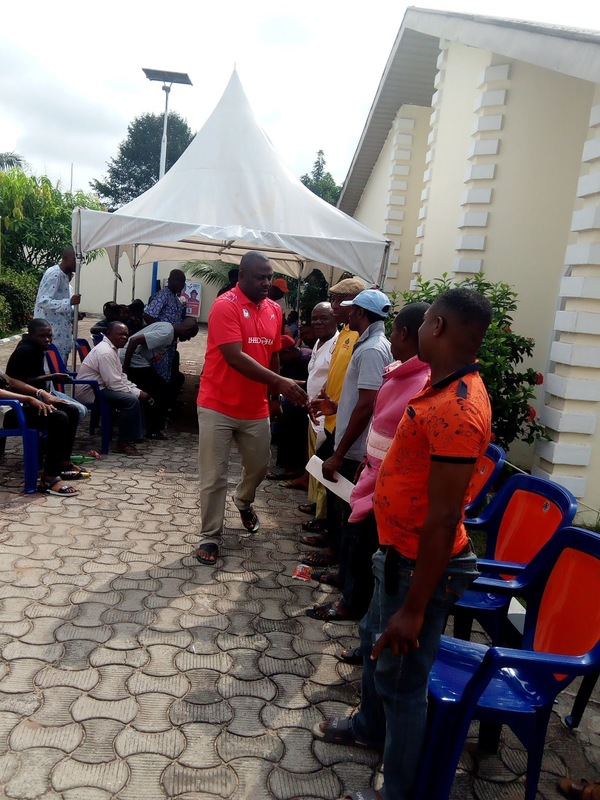 Earlier in his address, Spokesman of the delegation, Orisha Nduba, pledged their support to the Ihedioha/Irona ticket. He informed Hon. Irona of the resolve of the entire youth of the community to work for the success of the PDP in the forthcoming general elections. In his response, the PDP Deputy Governorship candidate, Rt. Hon. Gerald Irona lamented over what he described as the criminal neglect of the masses and poor governance in the state, promising not to disappoint the people when voted into office.